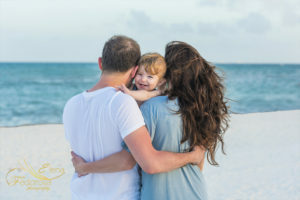 Isla Mujeres photographer, weddings, engagement, honeymoon, family photo sessions. If you think about wedding, you obviously imagine you and your spouse dressed in white clothes, surrounded by close people: parents, friends, relatives and having fun somewhere at a very nice location. What if this exact location is Isla Mujeres? 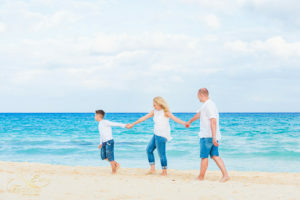 A small island in the Caribbean sea whose main treasures are the beaches, welcoming Mexican atmosphere and luxury service combined with five star hotels situated everywhere along the island. 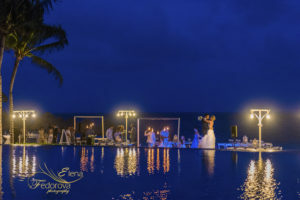 As a Isla Mujeres wedding photographer who have been honored to be present on many weddings, I can assure you that you will definitely love this island and moreover feel happy about your wedding celebration that will take place on one of its beaches. The wedding planning might take a while but as a result you will receive every minute well spend on planning your special celebration. Either you chose your own decoration style or you will stick to one suggested by your planner. you can be sure that it will look gorgeous and picturesque. Does the time of the day matter if you are planning to have a beach ceremony? Yes, it does. 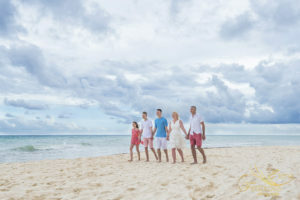 From the point of view of the Isla Mujeres wedding photographer I can suggest you to choose either early morning or evening hours. If you are in favor of absolute romanticism evening is the best time for your ceremony. For one reason – sunset. Isla Mujeres is one of the few places in the Mexican Caribbean that has a direct sunset on the North beach (Playa Norte). Isn’t that great? After the wedding, you will open you photo album and see yourself walking along the beach tenderly lighted by all those gorgeous colors of the sunset. 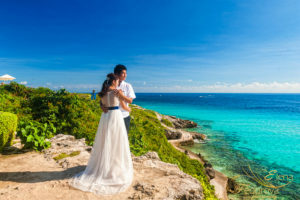 This is one unforgettable and memorable experience that will stay with you forever, carefully preserved on the photographs by your Isla Mujeres wedding photographer.